Pictured, Athens, Alabama mother, Amanda Reyer. Police bookings. 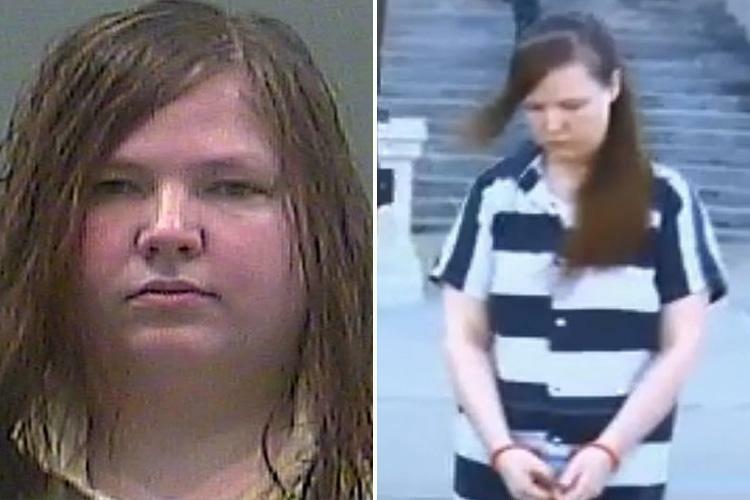 Amanda Reyer an Athens, Limestone County, Alabama mother is sentenced to 40 years jail after burning her two children in a ‘hot bath-tub’ as form of punishment after ‘acting out’. An Athens, Alabama mother has been sentenced to 40 years jail after putting her two young children in scalding water as a punishment for breaking the bed. During Amanda Reyer‘s sentencing on Tuesday, prosecutors described how on June 14, 2015 the mother put her then 5 year old son and then 2 year old daughter in the tub of hot water in their Limestone County mobile home. 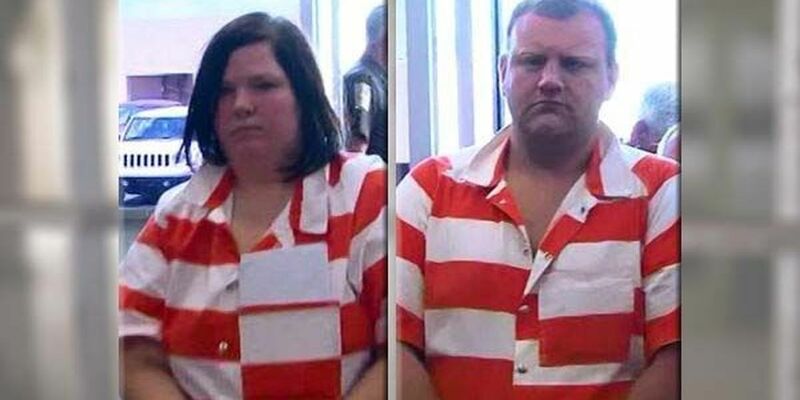 The ‘punishment’ led to the five year old boy, Cameron and his two year old sister, Adriauna incurring severe burns to their bodies Waff48 reported. A medical report revealed Adriauna’s suffering second and third degree burns over at least 70 percent of her body and being put on a ventilator for respiratory failure and needed skin graft surgeries. Cameron was recorded suffering severe burns from the waist down. So egregious were the children’s injuries, experts testified that the water was in the range of 140 to 150 degrees Fahrenheit when their mother forced them into the hot water. Handing down the maximum sentence on Tuesday, Judge Robert Baker said: ‘I’m a hard fellow to shock. But you did it’. Adding, ‘This is not a situation where you didn’t know what a medication would do… Hot water is hot. It hurts. It burns’. Tuesday’s sentencing follows Reyer pleaded guilty to two counts of aggravated child abuse in July. She will receive credit for time served as she’s been held at Limestone County jail for three years since the 2015 incident. Amanda Reyer copies form of punishment she’d seen on TV show- but instead of using cold water- decided to try it with hot water. During testimony, the mother told the court she did it to appease her former boyfriend Derrick Lynn Defoe, 33, who is still awaiting trial. Defoe faces charges of aggravated child abuse, domestic violence and attempted murder for each child. Reyer, who has diminished intelligence and an IQ of 76 or below, told of watching a TV show where a child counselor recommended giving children a cold shower or bath as a punishment. So she tried the same tactic- only with hot water instead of cold. Reyer said she pulled her kids out of the bath right away when she realized they were being scalded. She said she didn’t intend to harm her kids, who both survived the abuse. ‘Upon realizing that the children were being scalded by the water, the mother immediately pulled the children out of the water and began determining the need for medical treatment for the children,’ her attorney wrote in a sentencing memorandum. But experts say there is evidence that the girl was dipped into the hot tub at least twice. Reyer admitted she was negligent and that the guilty over her kids’ injuries was something she will have to live forever. The court heard that the children would have been in extreme pain and screaming. ‘I am very sorry. If could do over, I would put myself headfirst in that bathtub before I let my babies get hurt,’ she testified. There was also evidence of further child abuse including bruises and the fact both children’s heads had been shaved. 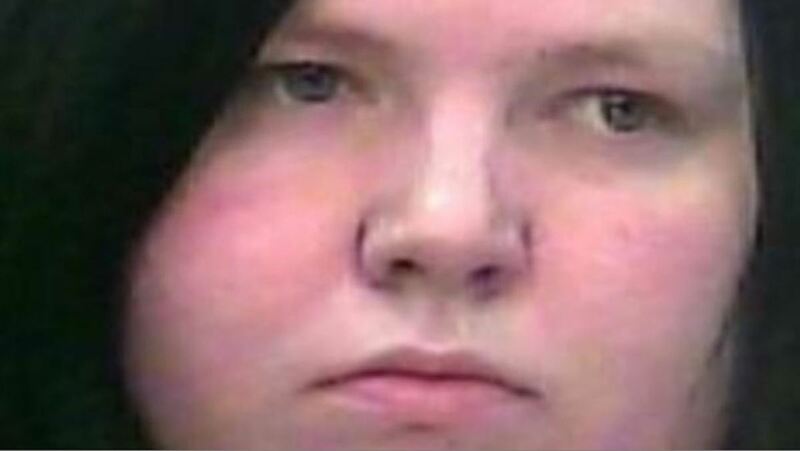 Reyer had previously been arrested for leaving Cameron in a hot car at the Walmart in Athens. He was found and rescued by a Good Samaritan. 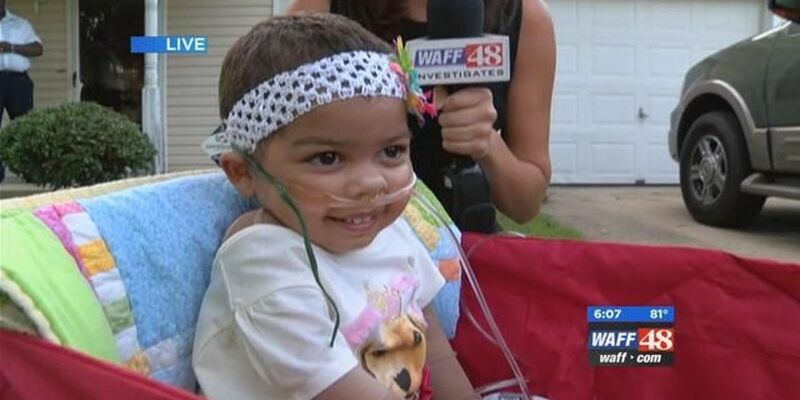 A year later, the mother left both Cameron and Adriauna in a hot car. Responded Limestone County District Attorney Brian C.T. Jones following the mother’s sentencing, ‘We’re extremely pleased with the outcome of the case’. ‘This is the kind of case that haunts people at night. A lot of the people involved and the children involved can know when they go to bed, that this woman is going to prison for the next 40 years,’ he added. Not immediately understood is how Reyer given her consistent displayed inability to take her of her two children wasn’t afforded assistance and resources or whether there had ever been prior intervention on behalf of the two children? Adriauna is now in the care of her paternal grandmother while her brother, Cameron is in the care of a foster family who is working to adopt him. Both are said to be ongoing dealing with lifelong injuries following the incident. Pictured, Amanda Reyer then two year old daughter, Adriauna, undergoing treatment following the burns.